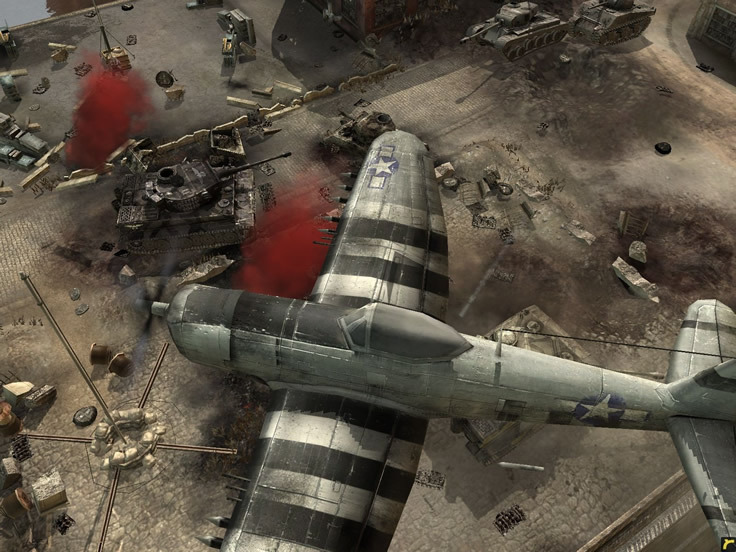 Company of heroes is a three-dimensional game of about fifteen missions that places you at the head of a platoon in the middle of the battle of Normandy. 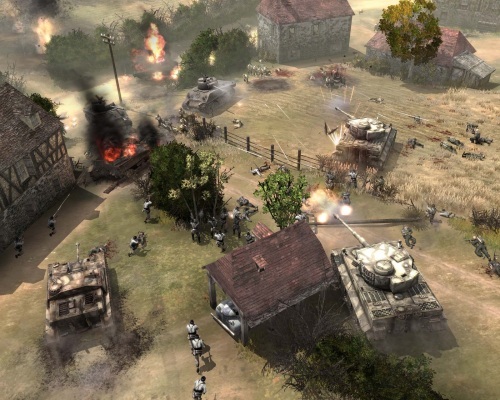 You must fight tanks and infantry on different terrains (plains, hedgerow, villages) against a fierce enemy. 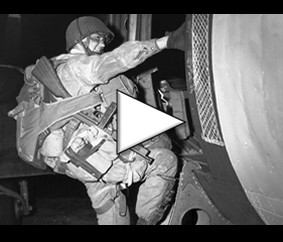 Your goal is to put your men on the field in the most tactical way to control specific goals that allow you to continue missions as you play, so ammo dumps and headquarters are vital to your progress. 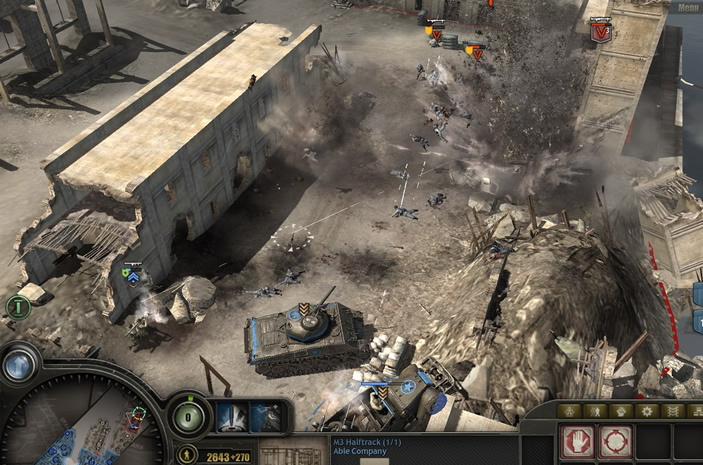 You must take into account the refueling of your troops, which adds interest to this game. 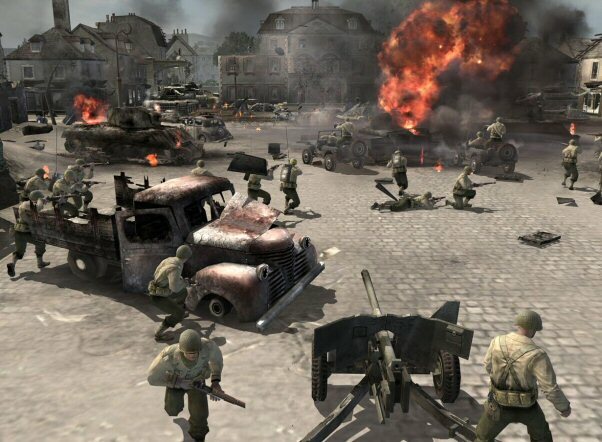 Tactics are a fundamental part of this game. It is very difficult to win without having analyzed the field, which allows you to move your men with intelligence according to the obstacles of the game. The realism of the fight is reinforced by a soundtrack. breathtaking and cinematic quality. 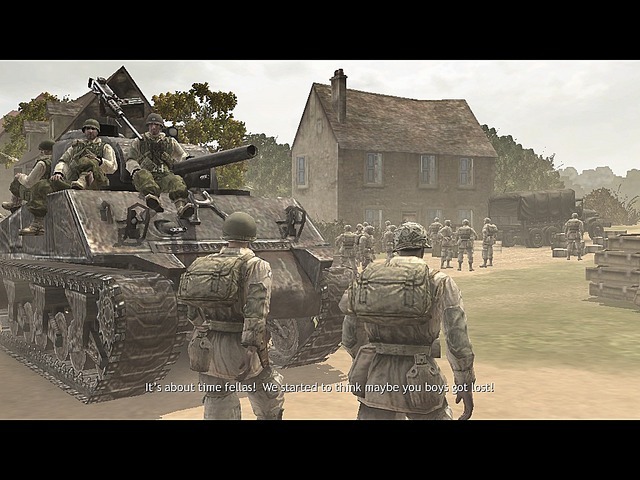 From a historical point of view, the creators of the game wanted to transform some scenes of the movie Band of Brothers into play, which ensures its name of “historical game”. 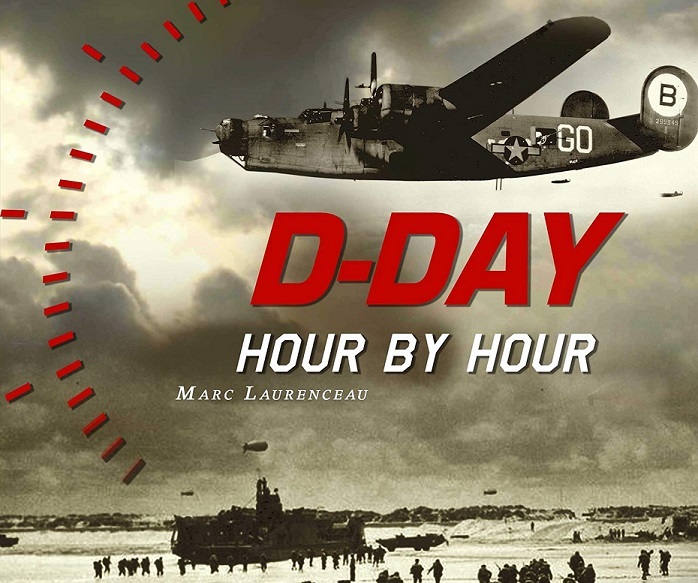 On the other hand, it traces the progression of the American units in Normandy and one can thus find real historical situations, like the landing of the American troops on June 6, 1944.